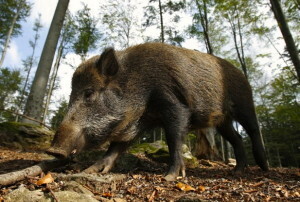 Wild hogs, Sus scrofa, are harmful vermin. They eat the eggs of bob white quail and wild turkey. They also eat roots and acorns, reducing the supply of acorns for deer; they destroy vegetation and tear up cornfields. 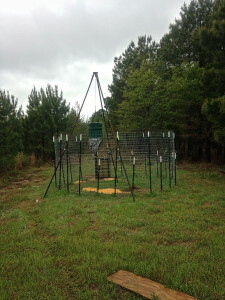 When food supply is low nomadic feral pigs will move to a new territory in search of food and can become a threat to humans and domestic livestock.1 We do what we can to help reduce the population of them on our property, as such, we trap them, and get rid of those captured – most of the time. There are plenty of pigs to harvest. However, we are not inclined to shoot them without plans to eat them. Another method to control their population is to capture them and move them. It is not illegal to move wild hogs because they are not natural wildlife. For us, moving wild pigs means finding someone to take them and that person will need to have the pigs seen by a veterinarian. Typically, these pigs then can be vaccinated, raised, and harvested under control. 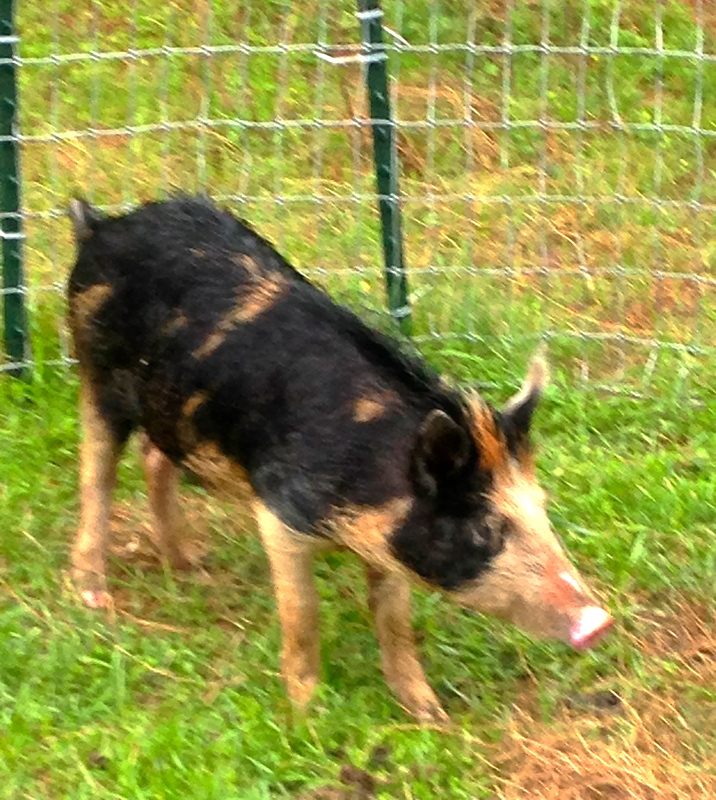 The small pigs we capture are perfect to give to someone that will properly manage them. So, we trap them and give them away. Our trap is a large pen with a one-way door. Inside the pen we place corn – they eat corn like pigs. The varmints enter the door, eat the corn, root around, and find themselves trapped. We keep the pen under constant watch so animals aren’t left trapped for very long. Today we had one nice pig, not large, a good size to eat, but no one wanted to eat him. It was this little piggy’s lucky day. We set him free with a belly full of corn and no worse off for the temporary inconvenience. We’ll reduce their population on another day.